$26 - Nothing quite says vacation like this new casual girls dress from T2 Love. 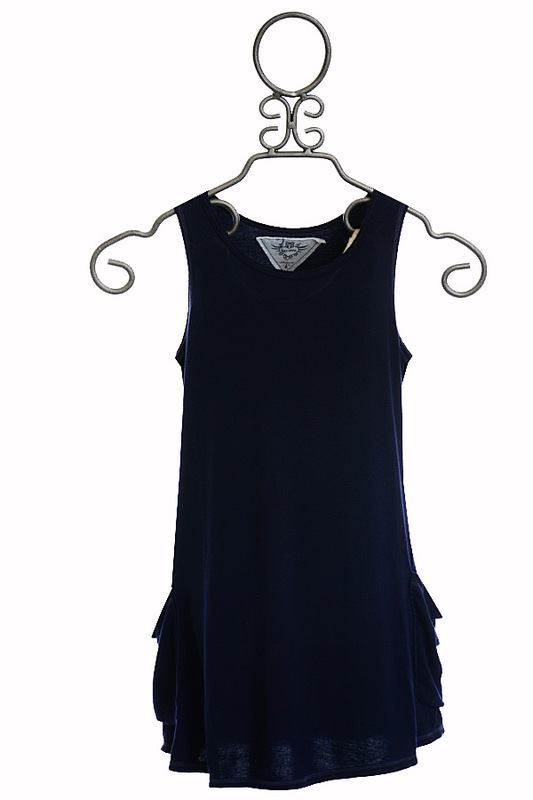 The tank dress has a loos fit that falls in a straight silhouette. Large, ruched pockets are found on both sides. The fit of this dress make it perfect to pull over her swimsuit, or layer under a light cardigan for a breezy day. 95% Rayon and 5% Spandex. Machine Wash Cold, Tumble Dry Low. Made in the U.S.A. SIZE 10 AVAILABLE.